Burberry Prorsum Accessories Fall/Winter 2012-2013. 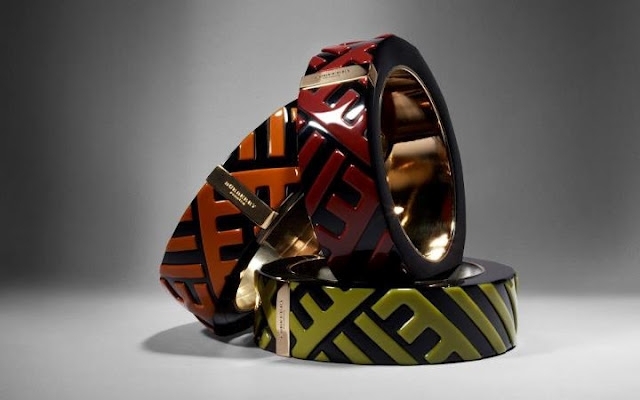 Enhance the style potential of your fall/winter 2012-2013 outfits with the fabulous alternatives included in the newest Burberry Prorsum accessories collection and expand your style perspectives. 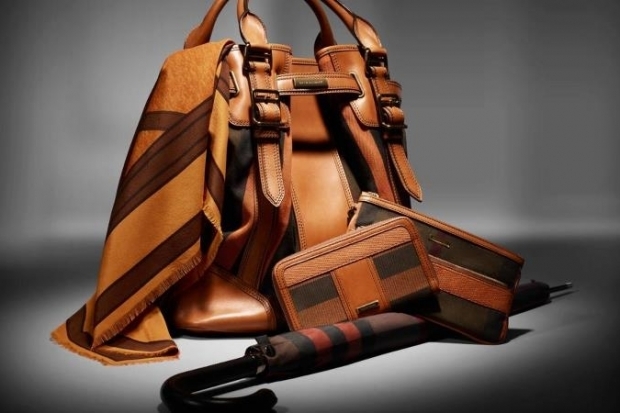 In the area of classy, versatile designs that manage to become fabulous focal points without stealing the spotlight, Burberry Prorsum has managed to bring a multitude of exciting alternatives to the market that were adored by celebrities and regular women alike. 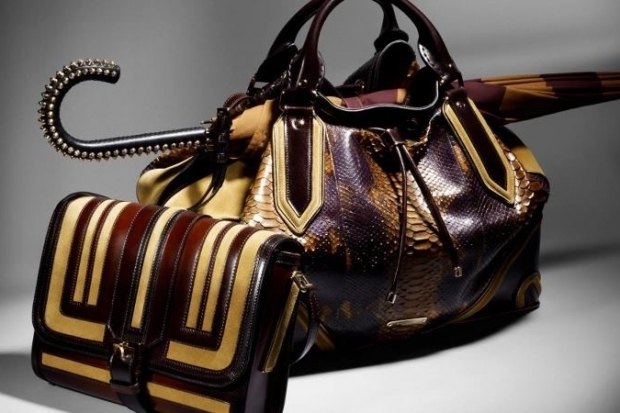 Given previous successes, it was to be expected that the label will embrace a similar perspective for the fall/winter 2012 accessories collection. 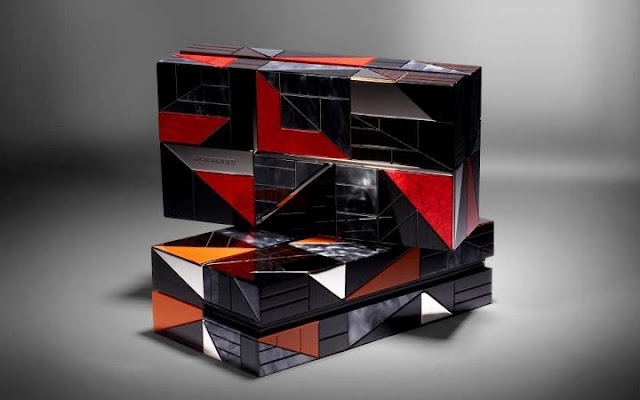 Stocking up on wardrobe essentials doesn't sound boring and tedious at all if we consider the perfectly balanced alternatives which easily shatter any notion that versatile equals boring. 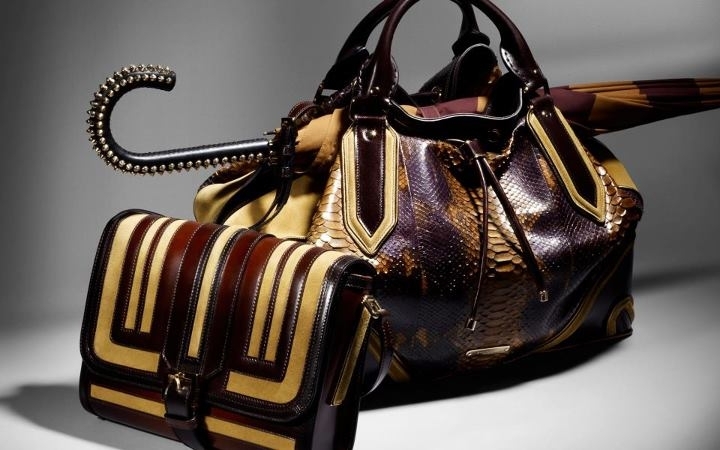 Perhaps one of the easiest ways to ensure that the handbag you'll purchase will prove versatile enough to match your needs is to go big from the start. 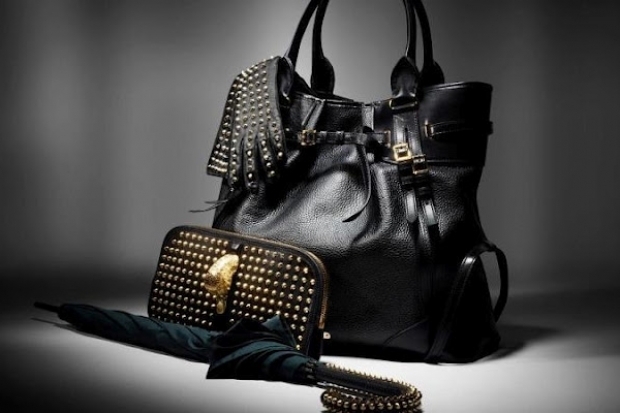 The high quality leather oversized handbags presented by the label will certainly serve as the ideal option to carry all your belongings with style at any given moment of the day. 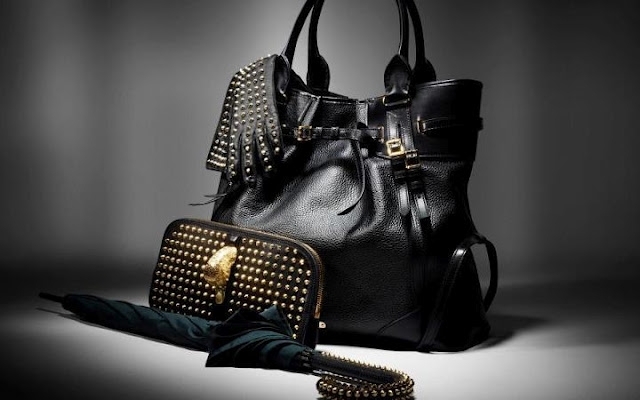 Injecting some edgy vibes can prove as simple as opting for a few studs that instantly liven up a classic design or better yet, opting for patent leather to preserve versatility and enhance the overall appeal. When it comes to shoes, however, the less is more rule applies. 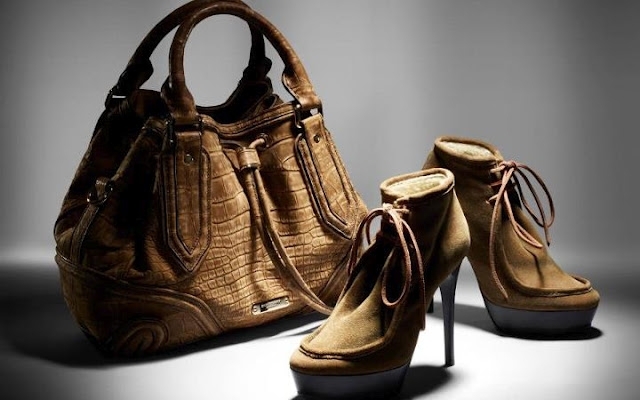 The designs are constructed to be figure flattering, thus high heels are pretty much an expectation, while the fabric choices and the color palette vary according to intended purpose. Thus we have black elegant sandals for classy events and suede boots and two-toned wedges for day to day wear. More colorful touches are also available for those who see fun tone blends as one of the best ways of self expression. 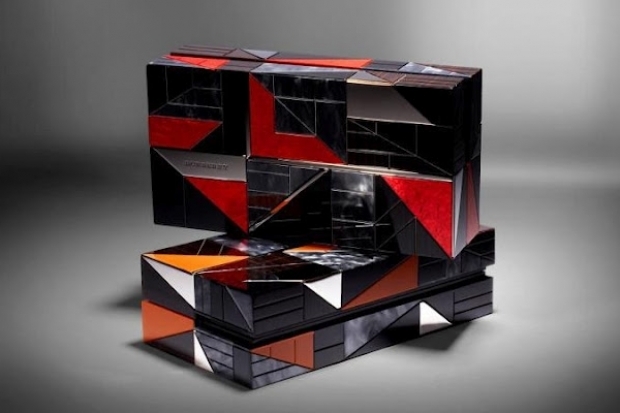 Hard case clutches with a variety of abstract touches and a multitude of interesting visual effects or bangles with a few architectural touches and well selected tones heighten the contrast and enhance the architectural vibe of these accessories. Making the most of a simple and practical outfit can be a relatively simple matter due to the variety of creative touches comprised in accessories like the ones included in the new season Burberry collection.